The pixel-perfect web is dead. The days of positioning elements on a web page and expecting them to always display exactly how we wanted are a distant memory; we now cope with the constant barrage of new and varied devices that our designs need to look fantastic on. Responsive web design is no longer a nice-to-have bonus feature, it’s an expected must-have. 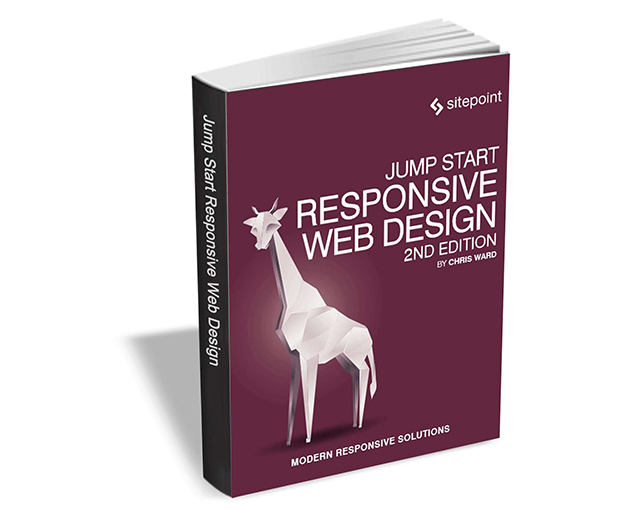 Jump Start Responsive Web Design, from SitePoint, aims to get you started understanding, and using, the suite of CSS and HTML tools available for responding to this new world of devices. It’s highly practical, with plenty of examples throughout. Jump Start Responsive Web Design usually retails for $30, but BetaNews readers can get it entirely free for a limited time. The offer expires on June 20, so act fast.